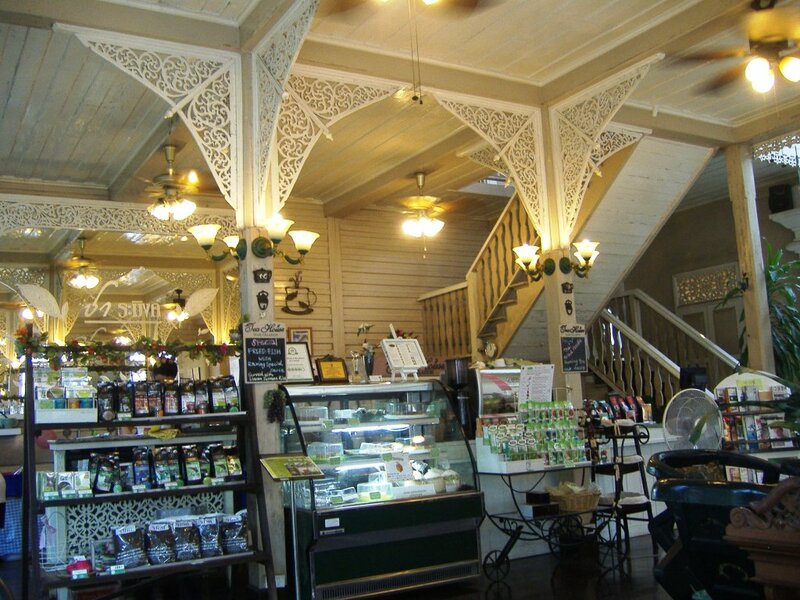 If you are ever in Chiang Mai treat yourself to a visit to this gorgeous teak tea house. 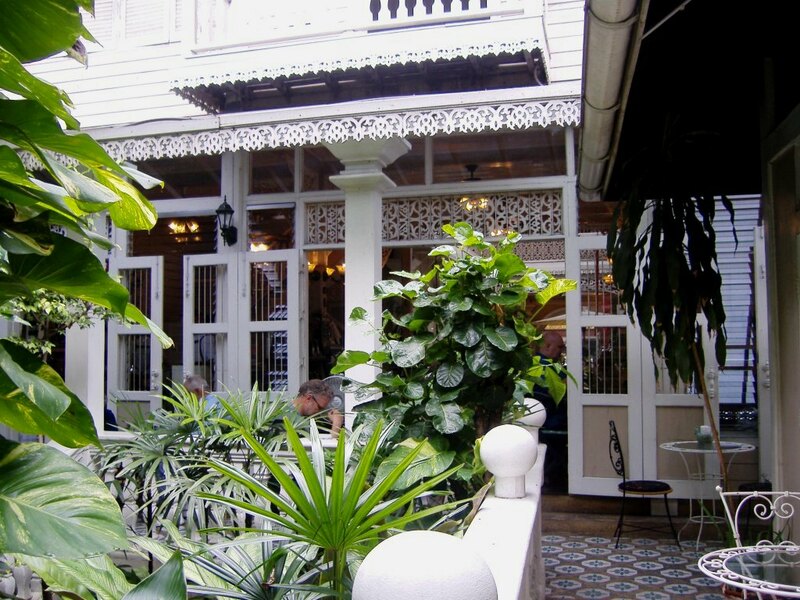 Raming Tea House Siam Celadon is in an elegant white colonial building in busy Tha Pae Road. It is such a welcoming relief from the heat and noise of the main road. This is a beautiful place for breakfast, brunch or lunch. Or just stop in for a coffee, pot of tea, or cold drink. The décor is Divine!!! 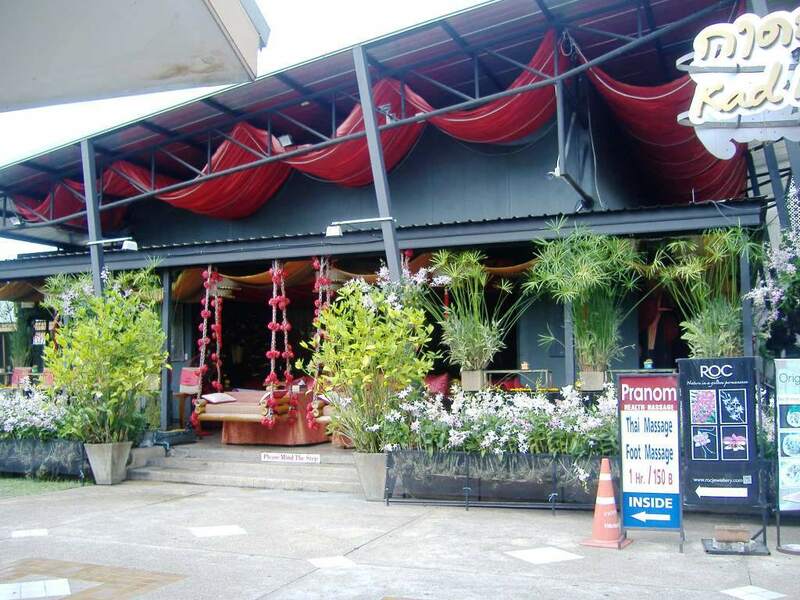 The menu offers a great variety of international snacks and Thai dishes, ranging from beef burgers to a Thai tea set including fresh spring rolls and seasonal fruits. 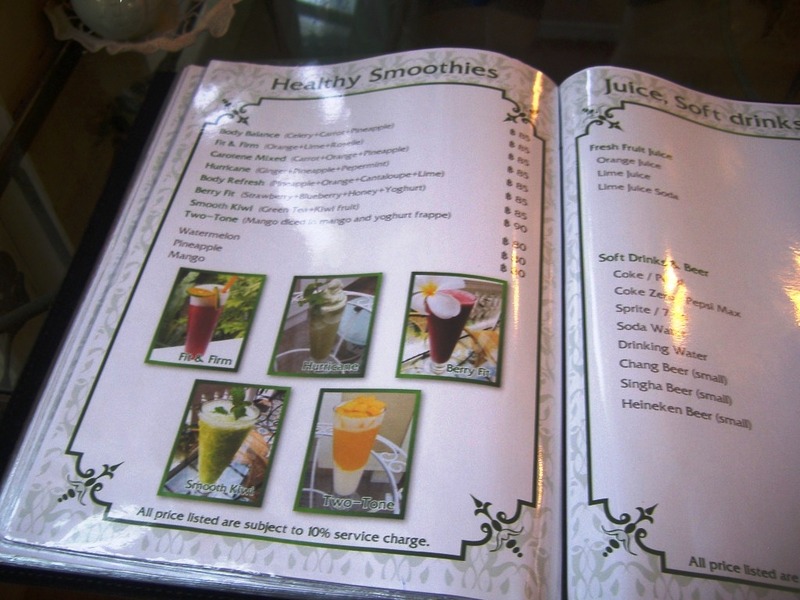 The highlight of the menu, however, is the great selection of teas which includes green, black and fruit blends. 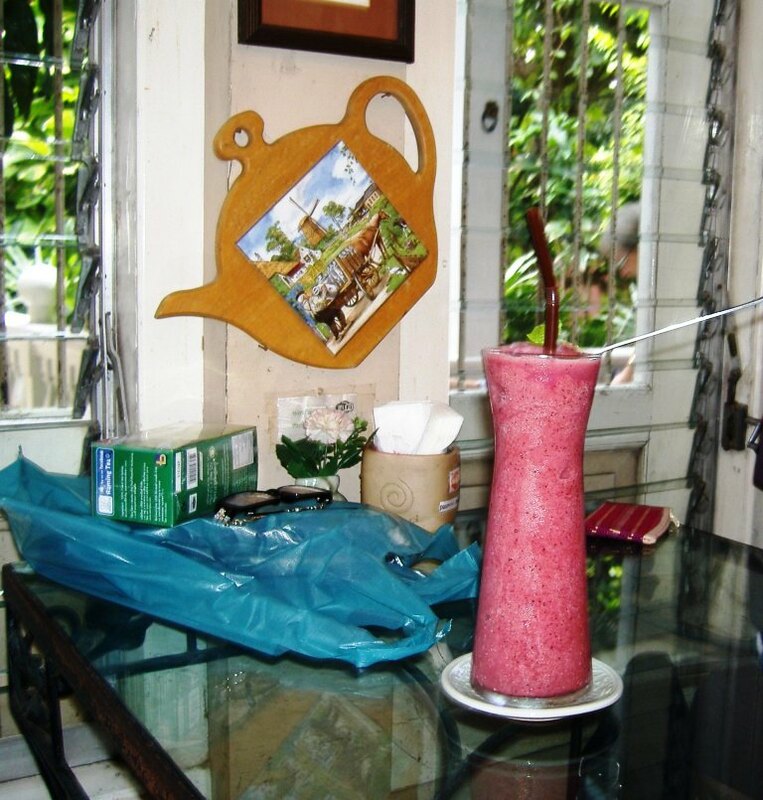 The smoothies and juices are also amazing, made with plenty of fruit. 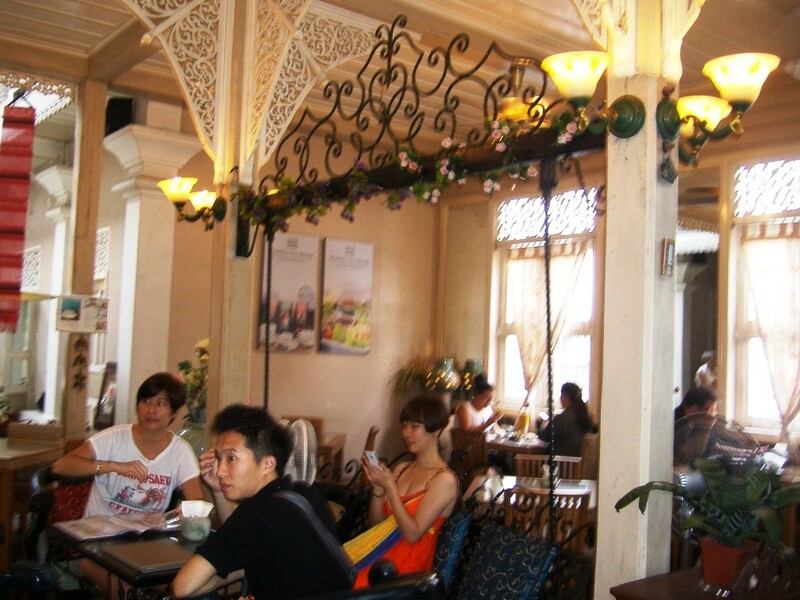 The decor of the tea house is elegant and makes you feel so very comfortable. 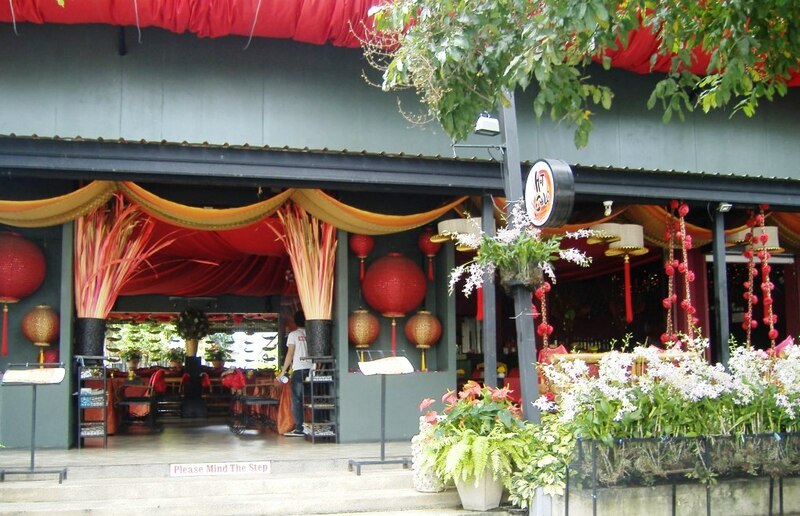 The tea house is air-conditioned however sitting outdoor is perfect if it is not too hot. 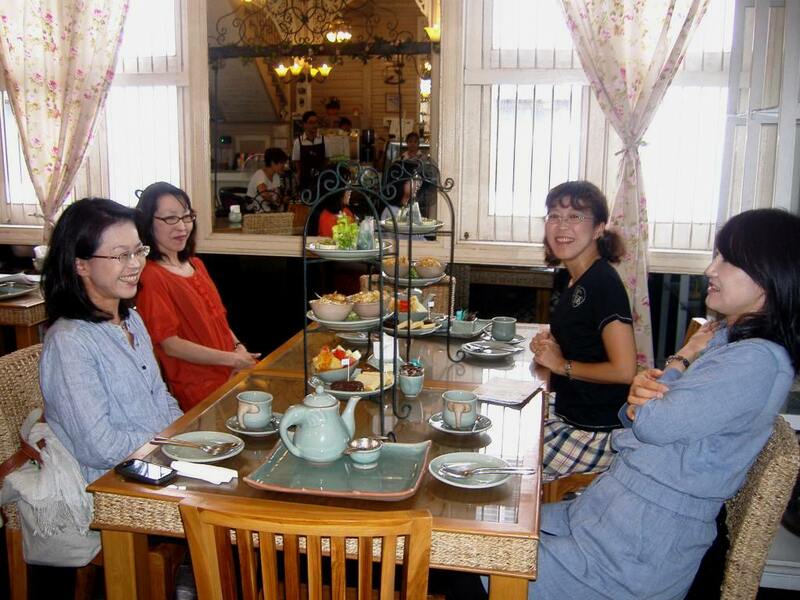 The tea set is served with decent celadon utensils. The wi-fi was great which is very welcome now days for us travellers. 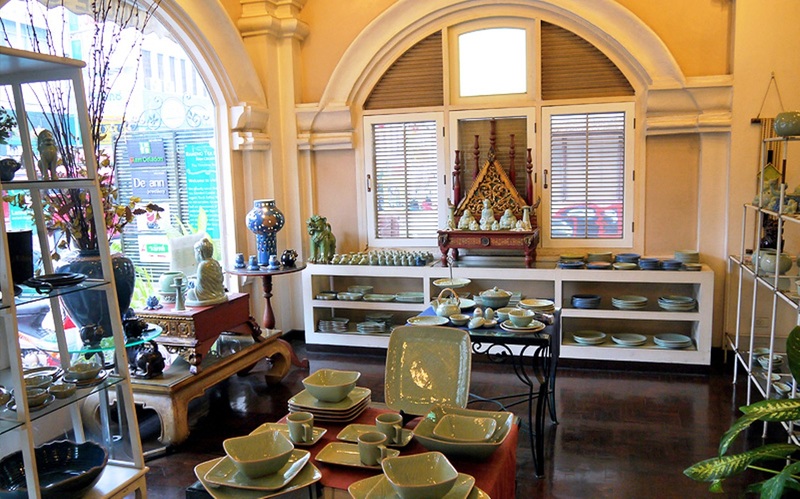 There are 4 parts to the tea house – the front is a ceramic shop, selling Siam Celadon, the famous pale green pottery, which is baked and glazed in northern Thailand. 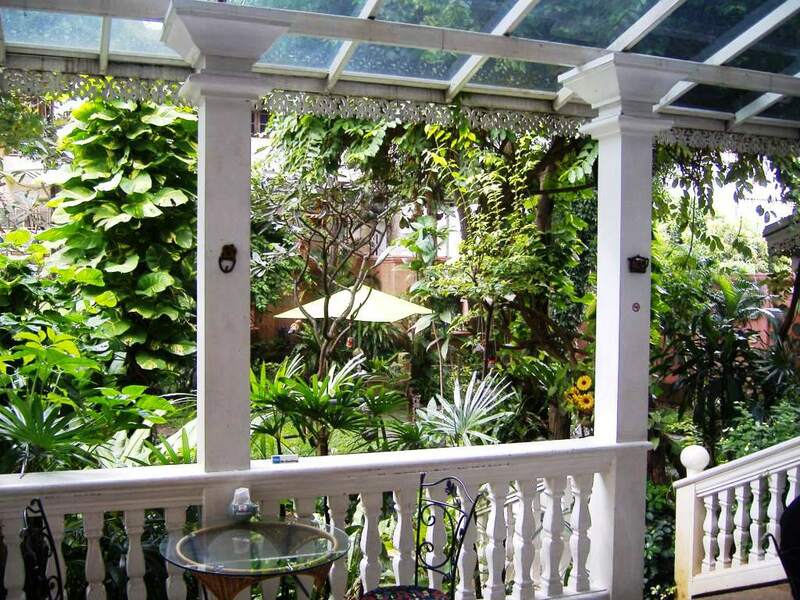 There are retail outlets selling jewellery in the middle and a gift shop, which then leads to the actual tea house which opens onto the balcony overlooking the beautiful lush gardens. There is also an ice cream parlour. 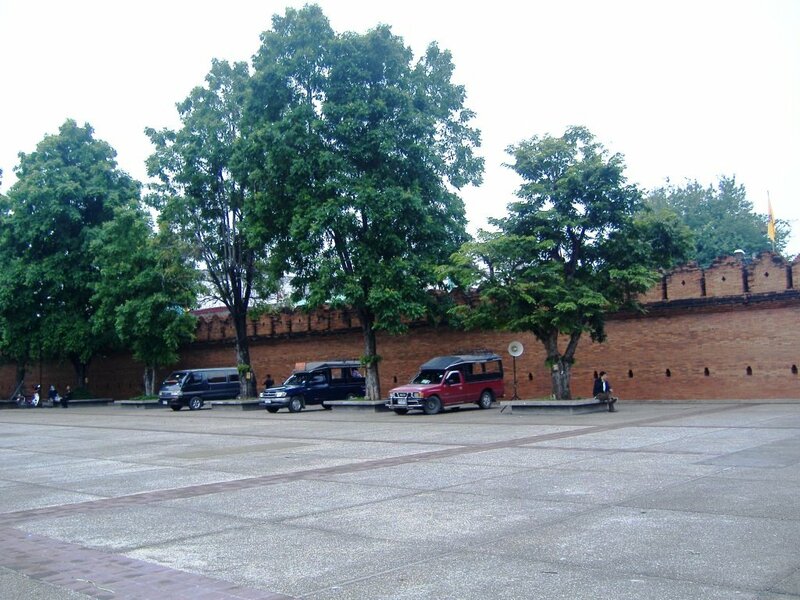 It is a perfect place to take a break from the heat. 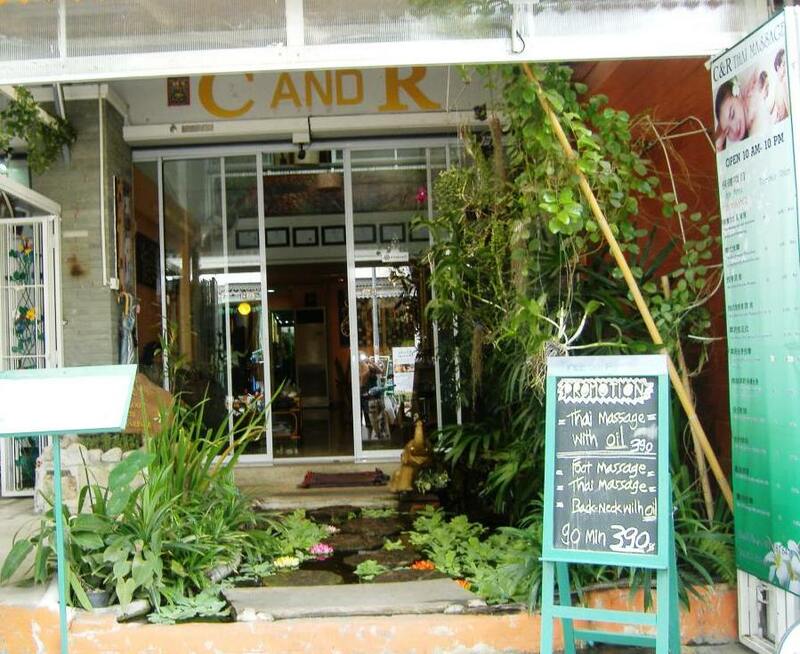 Once you have stepped inside and see how lovely this place is, you will want to stay longer. 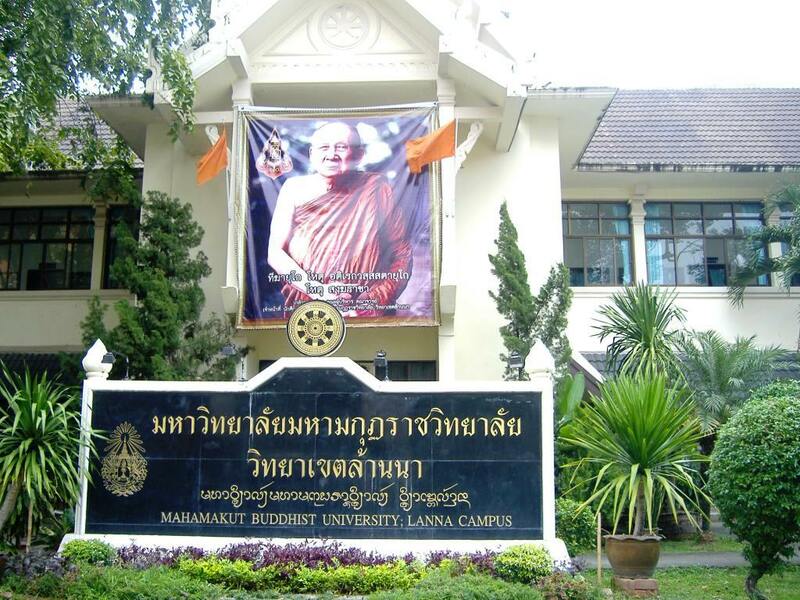 From Bangkok, we flew to the city of Chiang Mai. 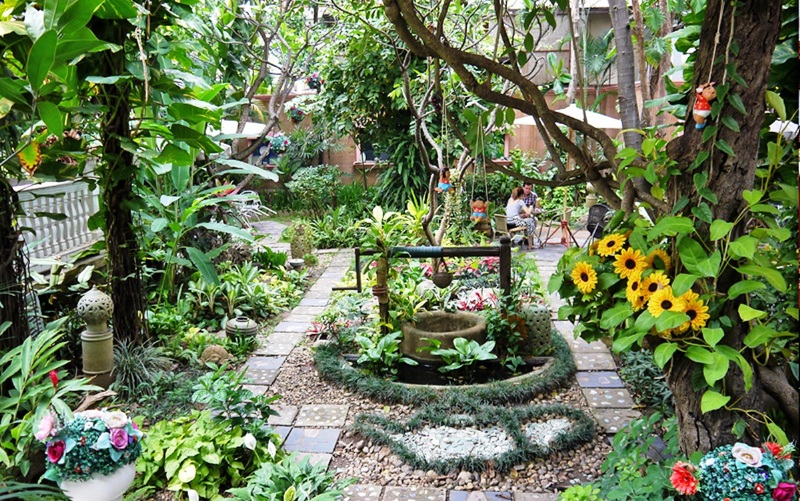 Chiang Mai really did appeal to me. It was a tiny bit cooler than Bangkok and it had such a lovely feeling to it. 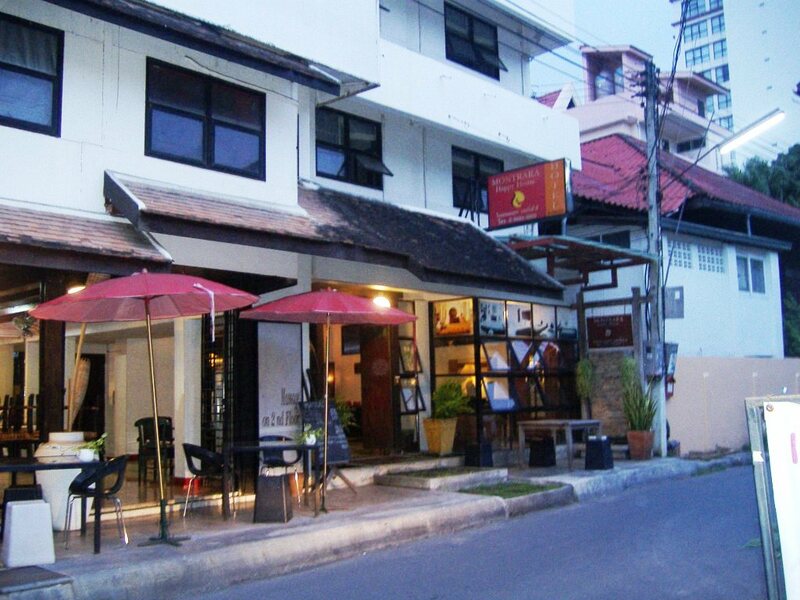 The people here are so friendly and gentle and there is a calmness here that I did not feel in Bangkok. Hence, Land of Smiles. 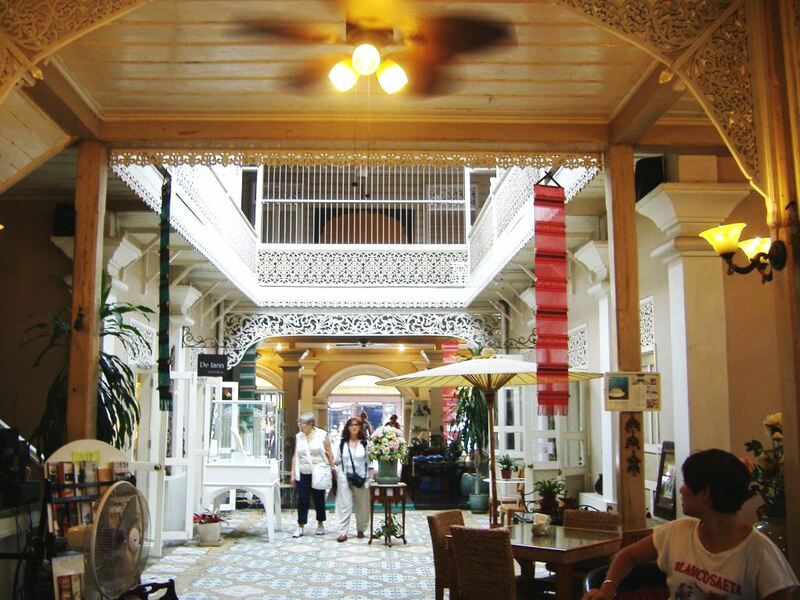 Shopping is one of the great pleasures here in Chiangmai. 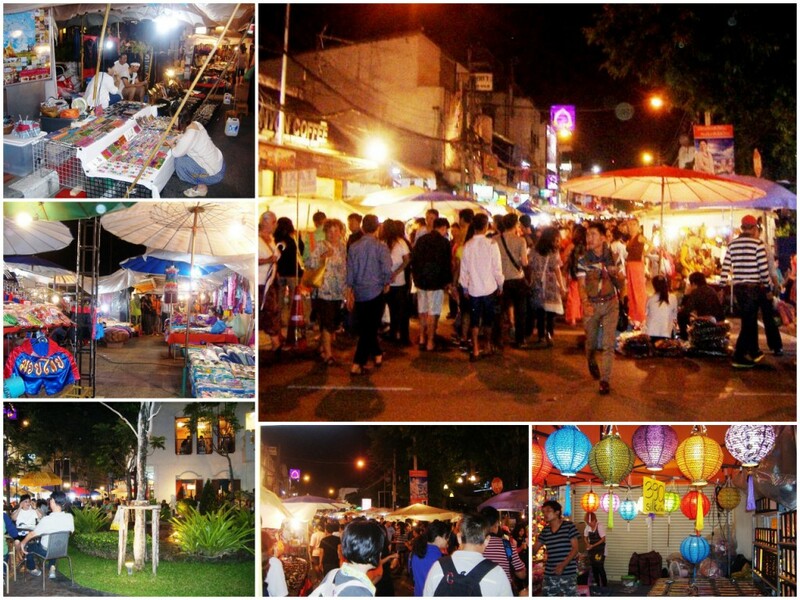 There are plenty of shopping opportunities, ranging from street side vendors selling local arts and crafts, to upscale shops. One of the most interesting places to go shopping is the Sunday market, which is held every Sunday evening on a group of blocked off streets in the centre of town. Local vendors from the area gather to sell goods to tourists from all over the world. The list of things sold is large, but includes handmade jewellery, photography, clothing, paintings, fresh fruit, drinks (alcoholic and non), hats, toys and much more. 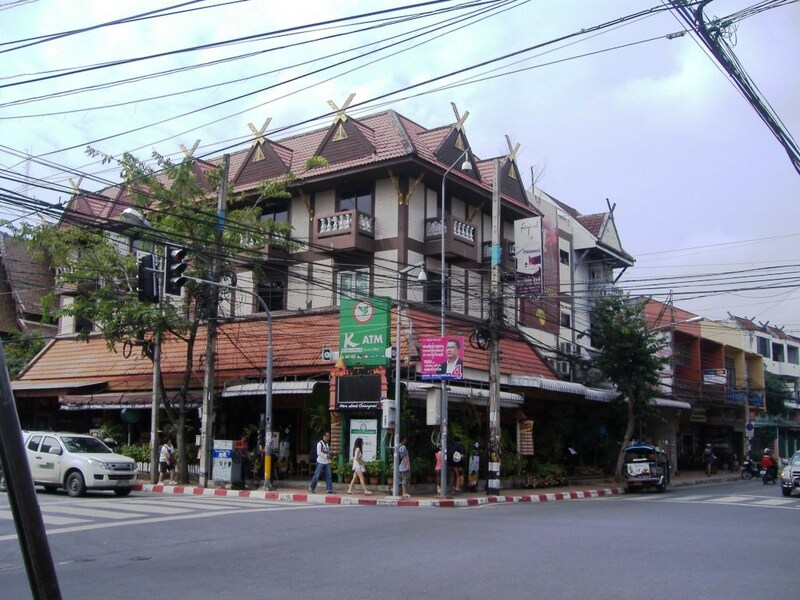 The Sunday Bazaar on Rajdumnern Road begins at Tha Phae Gate and ends at the city police station about 6 bocks west. The real fun is not the shopping but the ambience. 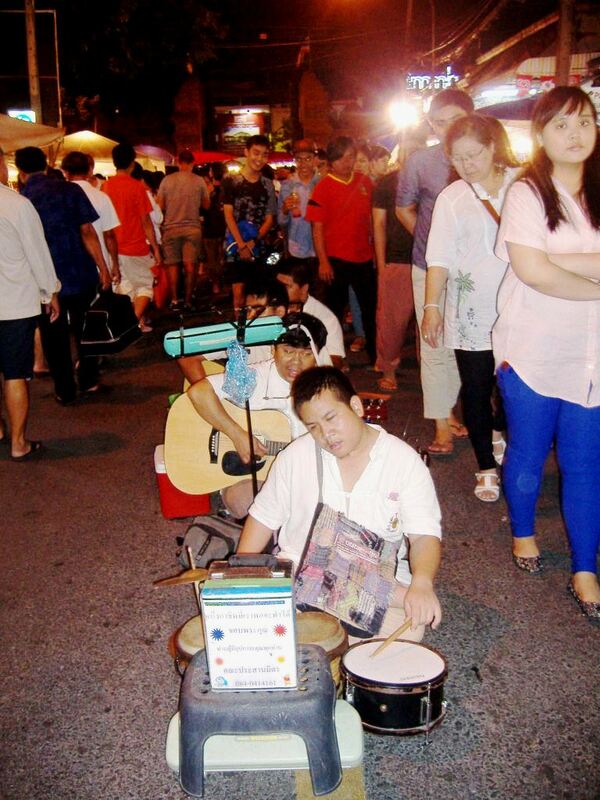 Every block has traditional Thai Music being played by elders and children. The rich colours of the surrounding temples, the smell of garlic, grilled fish, sausages and chillies being cooked and roasted. People are eating, smiling and just having a good time. I was happy to wander around with my camera, stop for a break and have a snack or stop and purchase from one of the hundreds of stalls. And then my reward at the end of the evening was a foot massage. 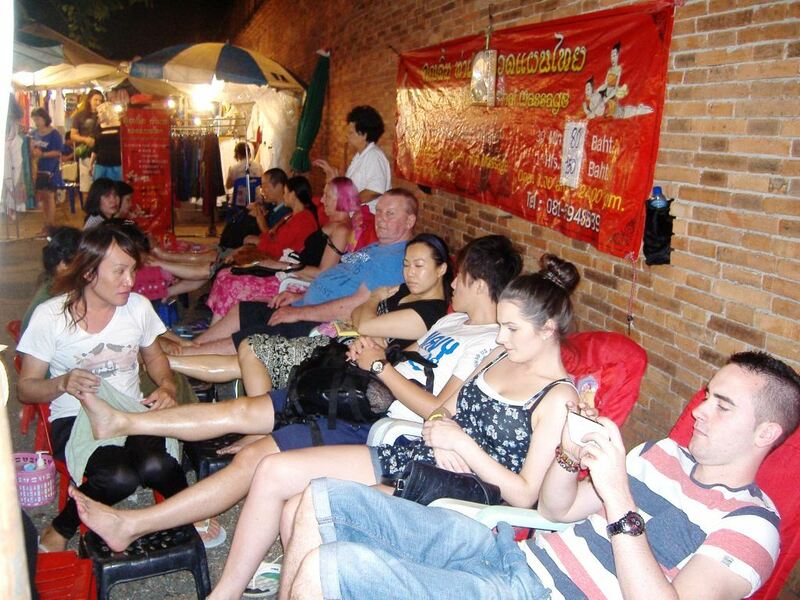 A little tip, buy your snack and cold drink, then take it to one of the many foot massage operators set up on the side-walk. Sit back in the comfortable cushioned reclining chair, just watch, listen and take it all in. The foot massages are amazing, a full hour of sheer indulgence. I discovered the most delicious “fruit shakes”. 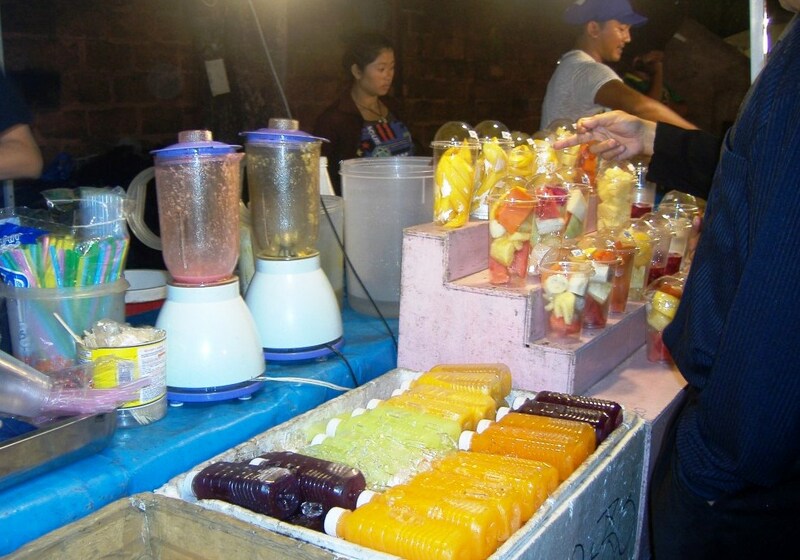 There are plastic containers full of cut up fruits which you purchase, they put this cut up fruit into a blender with ice and a little sugar syrup and blend it and serve it in the plastic cup with a spoon ended straw. Yum. 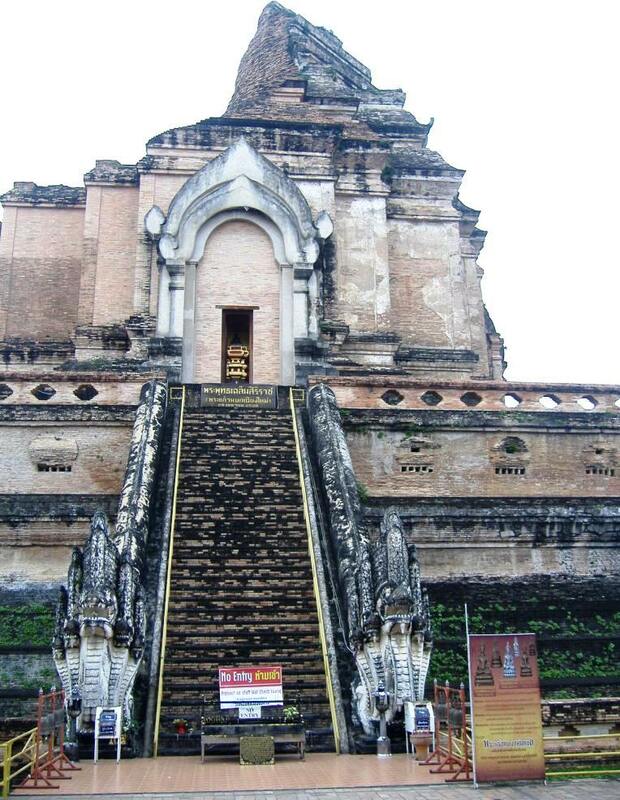 Getting around in Chiang Mai is so easy. Crossing the road is a little challenge but it does not take too long to master it. The common vehicles used for public transportation are numerous. 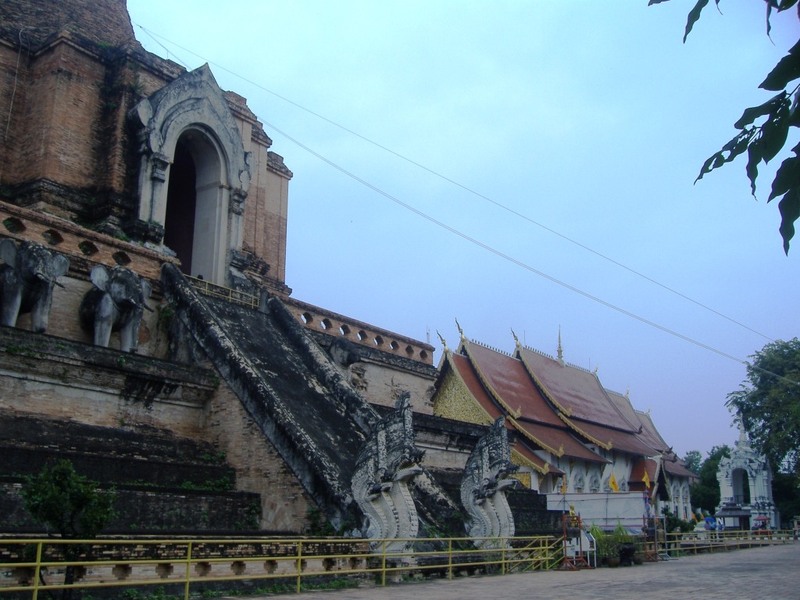 The tuk-tuk and samlor are open-air, three-wheel vehicles. 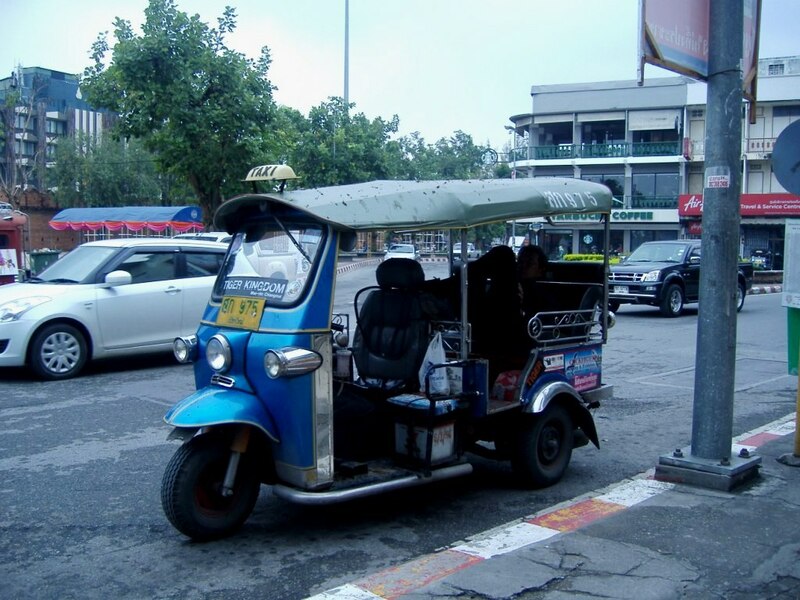 Whenever you get in a tuk-tuk or samlor you should ensure that they only take you where you want to go or may visit businesses that you are not interested in. 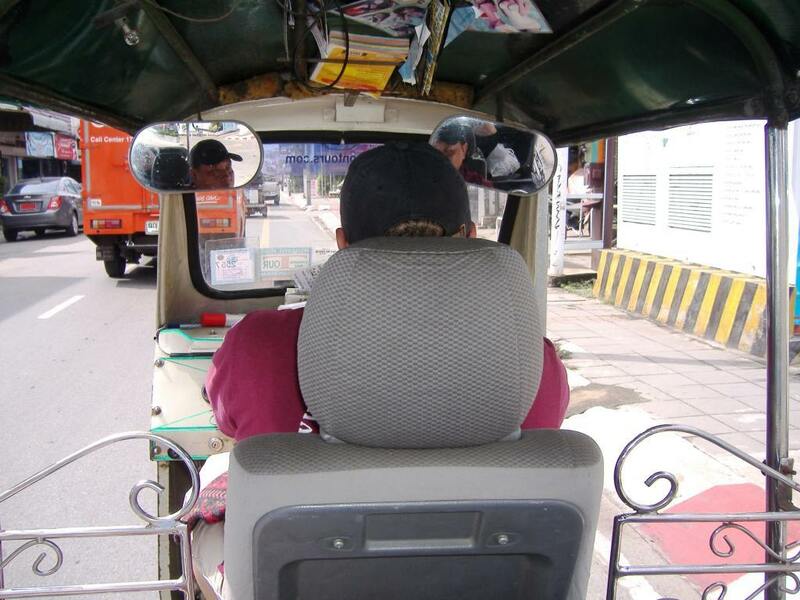 Always negotiate the price before you get in a tuk-tuk or samlor – expect to pay 50-100 bht for trips within the general area. 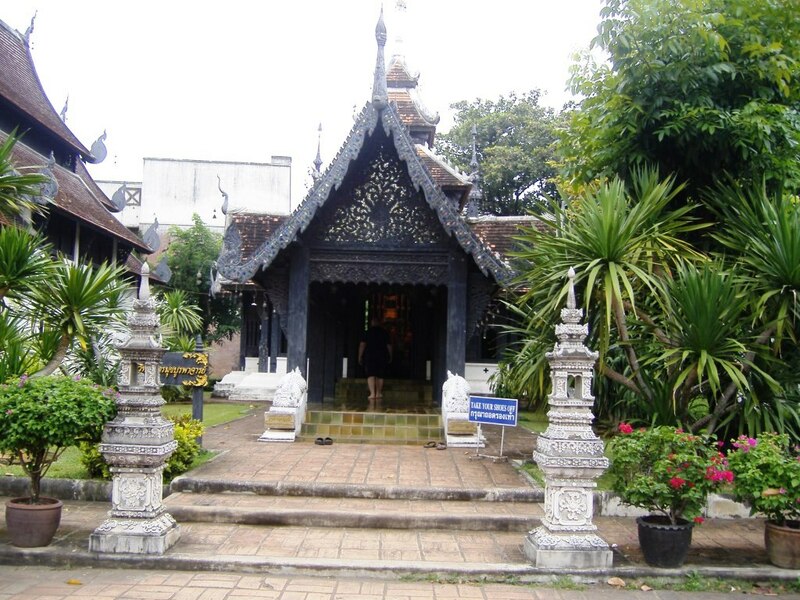 Chiang Mai has many temples. 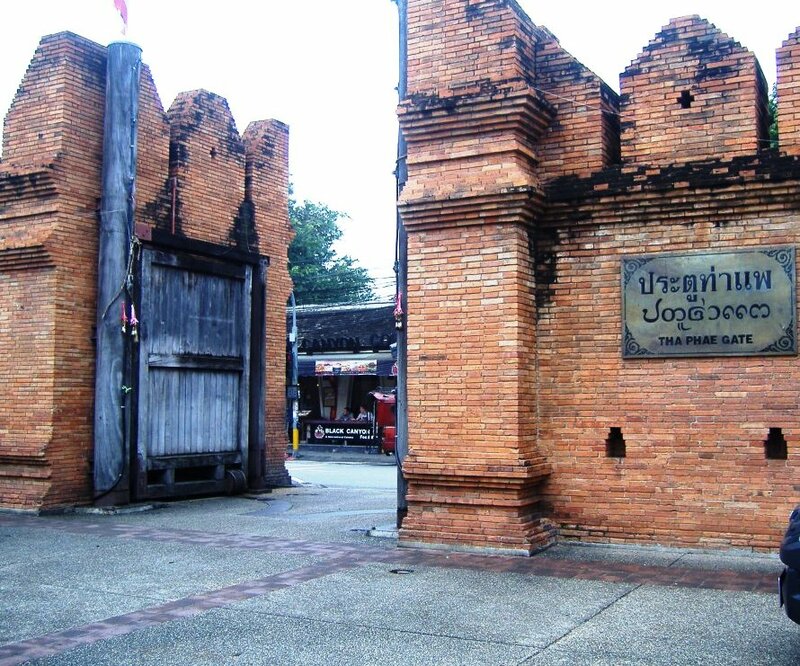 I believe that there are about 140 just in the old and new part of Chiang Mai city. 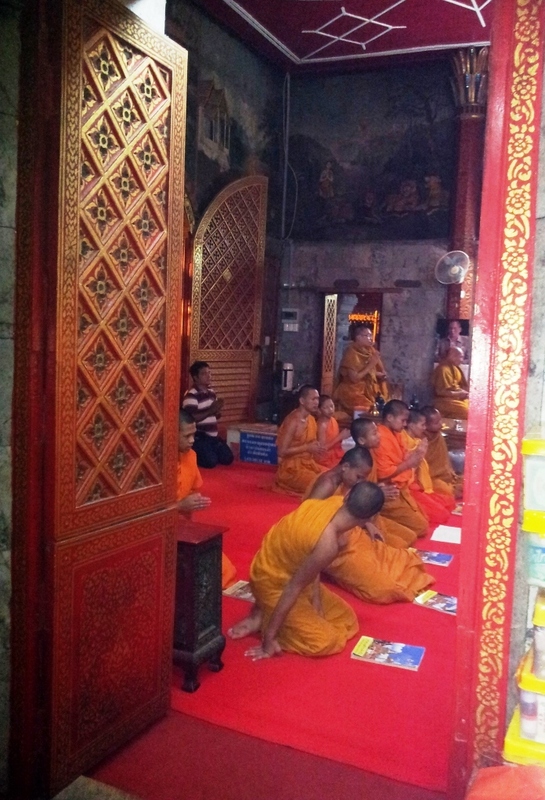 As we were wandering around we often visited the temples and many times chatted with the monks. The atmosphere in these temples is so calming and peaceful. 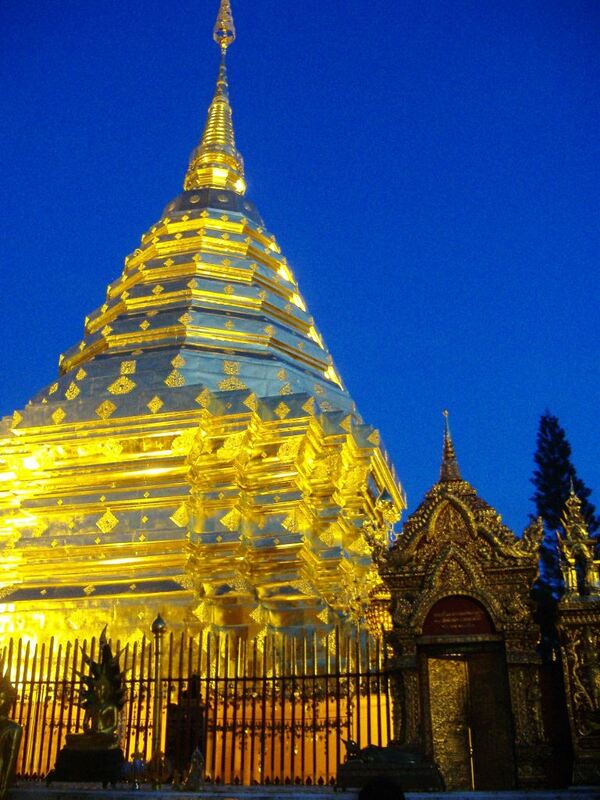 One of the most stunning temples here is the Wat Doi Suthep which is about a 30 minute drive out of the city. We hired a taxi to take us up to the temple and he waited while we visited for about 2 hours. This temple is definitely a must see. 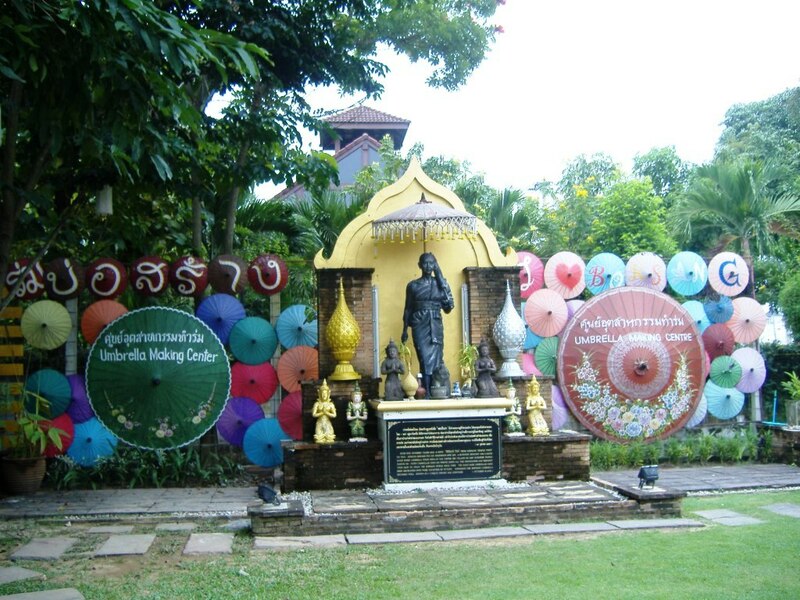 It’s incredibly beautiful inside and out with statues, decorations and adornments. Make sure you wear appropriate attire (no shorts, short sleeves or tank tops), but they do have robes you can borrow if you forget. We actually took the funicular up to the entrance but there are steps up if you are feeling energetic. 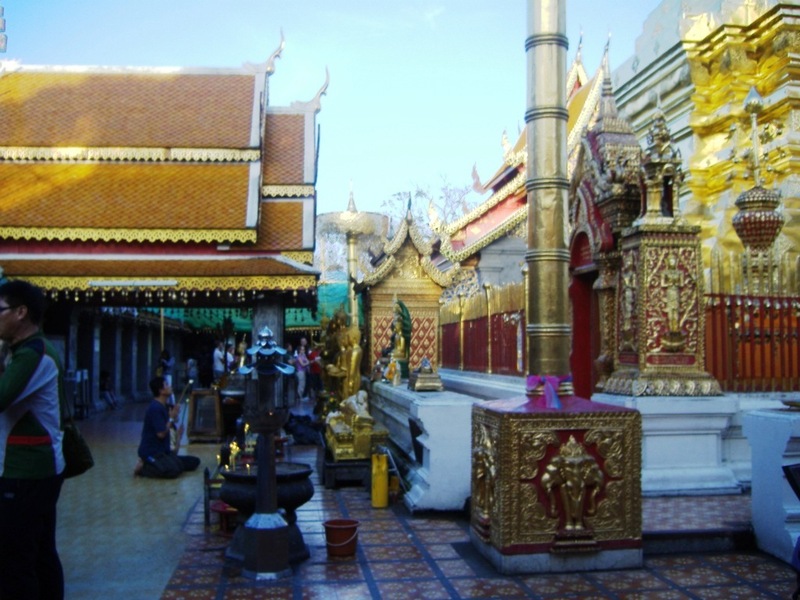 The entrance fee was 30 baht to entre the temple itself. 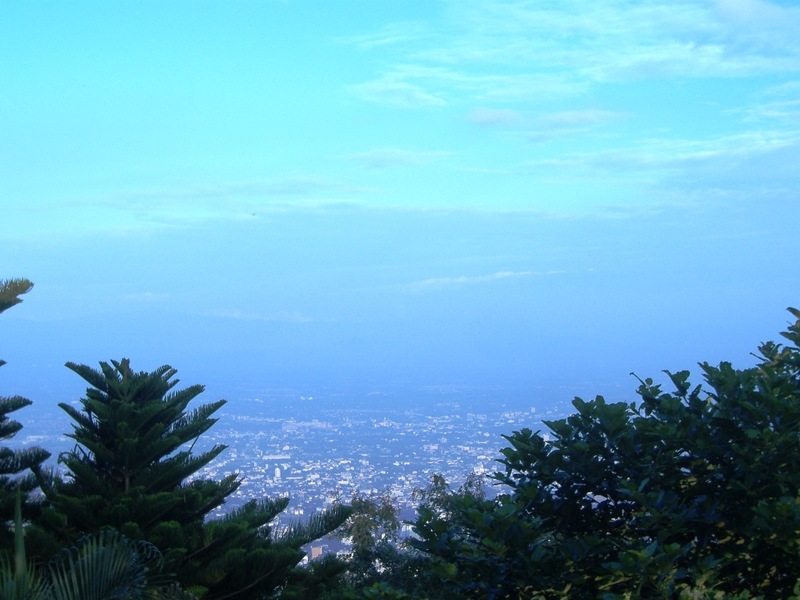 Outside the temple there are great views of Chiang Mai from above. 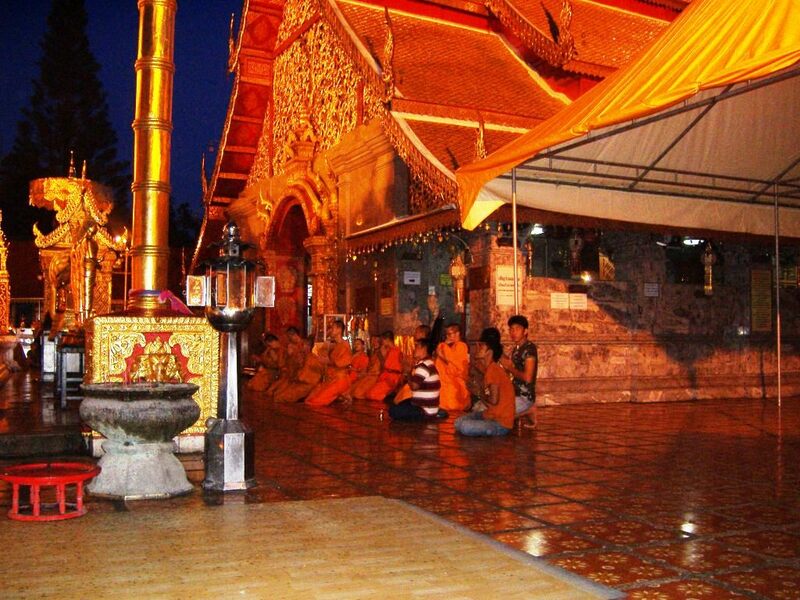 We arrived late afternoon in time for the sunset and the evening chant. 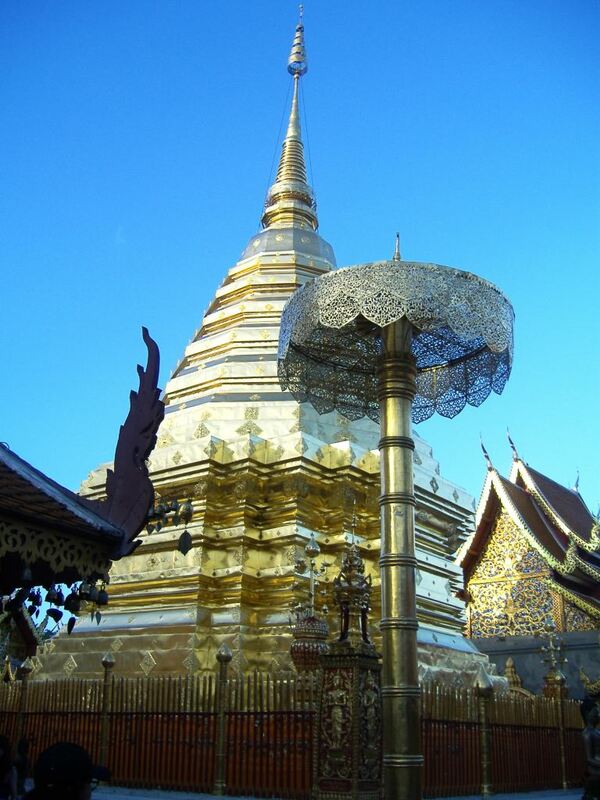 Most of the time we were in Chiang Mai it was cloudy but this day it was sunny and spectacular. 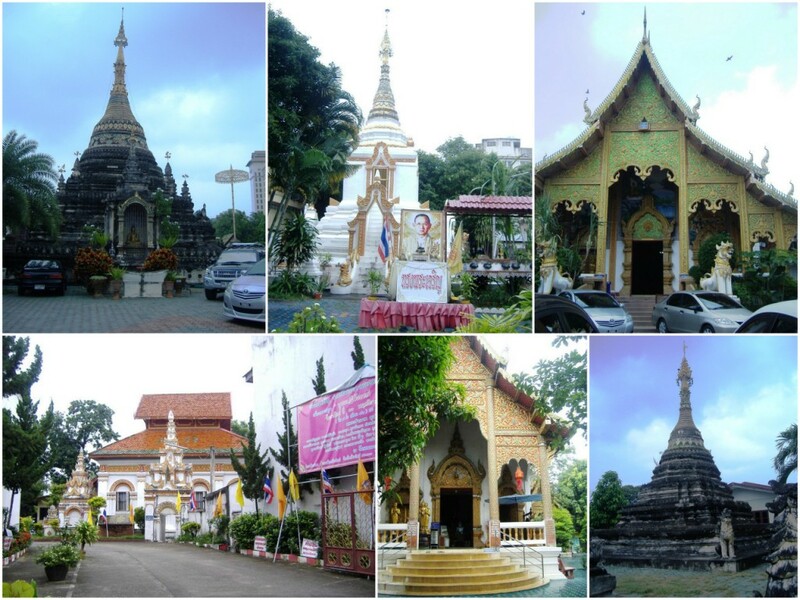 We visited so many interesting places and saw so much in the 5 days we were in Chiang Mai. Maybe another time I can tell you more about this pretty amazing city. 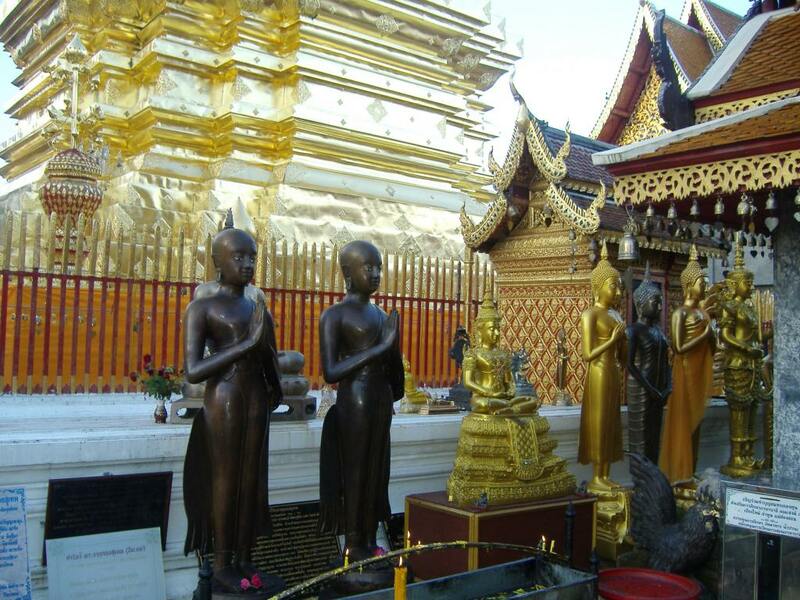 I will say tho, Chiang Mai was my favourite city that we stayed in Thailand.